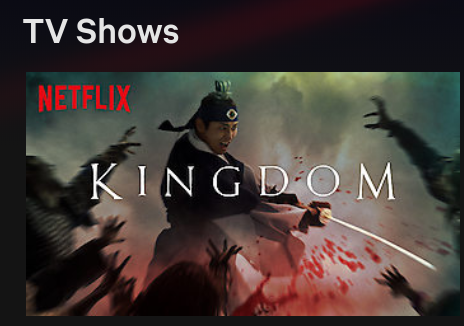 As a fan of South Korean Dramas (K-dramas) and zombies (mostly the post-apocalyptic type novels), I looked forward to the Netflix-produced Kingdom that debuted today (Jan. 25, 2019). This historical (15th century) thriller seemed to have the right set of entertainment category buttons for me: Zombies, swords, and a typically good K-drama writing. But, halfway through the first episode of Kingdom, it lacks the hallmarks of a good K-drama: Early introduction of the main characters with a focus on the protagonist (who may seem extremely flawed at first but evolves into a sympathetic character), at least a hint of what the main problem to resolve is, and crisp dialog. Note: episodes in the middle are sometimes slow. However, the first and last episodes are generally fast paced to get you engrossed in the story and then keep you moving to the conclusion (there is usually at least one twist somewhere in the first half of the series). Yes, there is a bit of a formula. But, it is a good formula. Kingdom’s first half of the first episode (which is as far as I’ve gotten so far) is glacially slow — like the Netflix Marvel TV series which you may have heard Jay Stone and I complain about on our ComicsViews Podcast. It is as if the show runners modified their style to meet some kind of Netflix house style. And, that style is molasses-in-winter slow. The other issue, so far, is that the cinematography visually dark (as in hard to see what is on the screen). This too is like Netflix’ Marvel series. Sure, Kingdom is in the horror genre. So, you expect it to be dark. But, the night time scenes have been muddy so far. The two big K-drama formula element that Kingdom violates are (1) that it is only six one hour episodes long. Most K-dramas are 12 to 24 episodes long. And, (2) it apparently will have a second season. The vast majority of K-dramas are one self-contained season long. This means that unlike US TV series, one season is a story that has a well defined beginning, middle, and end. It does not meander for years and maybe reach some shoddy conclusion or even no conclusion at all. At the end of a season long story arc, threads are brought together for a conclusion. I have a hope that it will improve soon since the South Korean show runners have what appears to be a good track record. But, it is not impressing me so far. Man to Man on Netflix. This is a spy thriller set in modern times that has a number of interesting twists and turns as well as a satifying ending. The Last Empress on Viki.com. This is also set in modern times but with a twist: It is in an alternate timeline where Korea still has a monarchy (it is not clear if there is a single Korea or North and South Koreas). It starts off looking like a rom-com but quickly takes a dark twist that turns it into a thriller. Somehow, it still manages to introduce comedic elements in various episodes though.